Dreaming Dreams has been added to our library collection, so with a Dearborn Public Library card you can borrow a copy for free. If you’re interested, reserve your copy here. A limited number of paperback copies of the Dreaming Dreams book are now available for purchase at Henry Ford Centennial Library (HFCL), 16301 Michigan Avenue, Dearborn, at the Adult Reference Desk or in Administration for $16 each (no tax). We accept cash, or checks made out to Friends of the Library-Dearborn. Copies will also be available at the branches (Bryant and Esper) next week. Check Library hours at our website. We still have a few copies of Animal Tales, which was the book from our previous Big Read, available in Administration at HFCL. There is a “deal” going on: Buy a copy of Dreaming Dreams AND Animal Tales for $25. 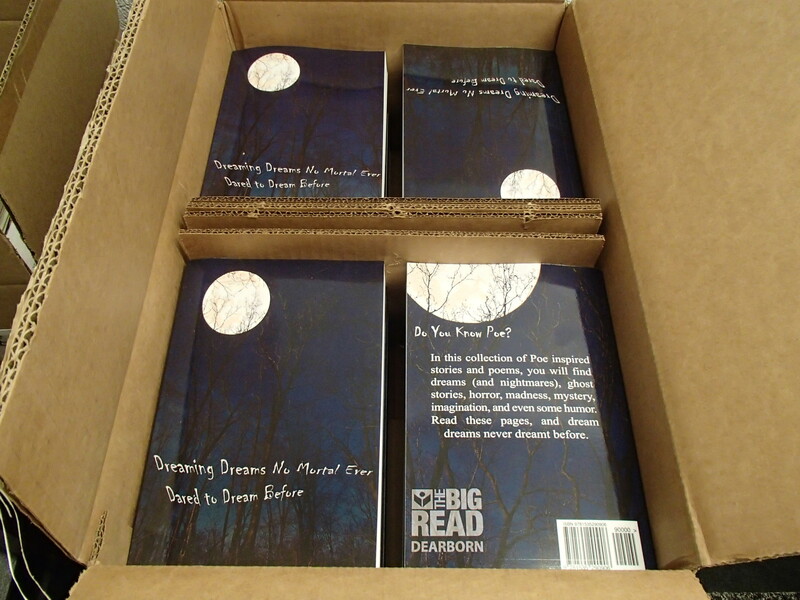 Copies of Dreaming Dreams can still purchased online through CreateSpace (www.createspace.com/6317921) or Amazon (https://www.amazon.com/Dreaming-Dreams-Mortal-Dared-Before/dp/1535290900/ref=sr_1_1?ie=UTF8&qid=1470754207&sr=8-1&keywords=dreaming+dreams+no+mortal+ever+dared+to+dream+before). When copies are purchased online, they cost $16 each plus shipping. We are working on adding copies to the Library collection for checkout. We hope to let you know as soon as those are ready. Thank you so much and have a good weekend! Thank you very much for your patience. 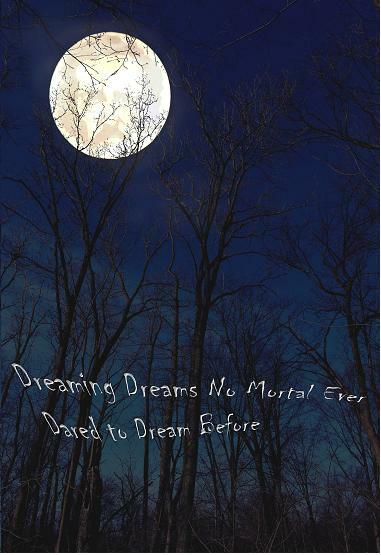 The book, Dreaming Dreams No Mortal Ever Dared to Dream Before, is now available! Please spread the word. Here is a flyer to post or share with your friends and family. In this collection of Poe inspired stories and poems, you will find dreams (and nightmares), ghost stories, horror, madness, mystery, imagination, and even some humor. It is about 450 pages long and has works from over 150 authors. It is also available for purchase here on Amazon.com. Consider asking your friends and family to read it and write reviews. There is even a “Look Inside” feature, so you can get a glimpse of what the book looks like inside. However, we should note that the Library receives slightly more revenue if copies are purchased directly from CreateSpace.com. Any funds raised from this book will go towards future Big Reads in Dearborn. We will be purchasing a limited number of copies to sell at all Dearborn Public Library branches for $16 each. We will add some copies to the collection, so with a Dearborn Public Library card you will be able to check out a copy for free. We will let you know when those copies are available. For now, copies can be purchased online at the sites listed above. We hope you enjoy this anthology. To the authors who contributed works: congratulations on your achievement! We hope to preserve your stories and poems for future generations. Thank you to the community for all your help and support!